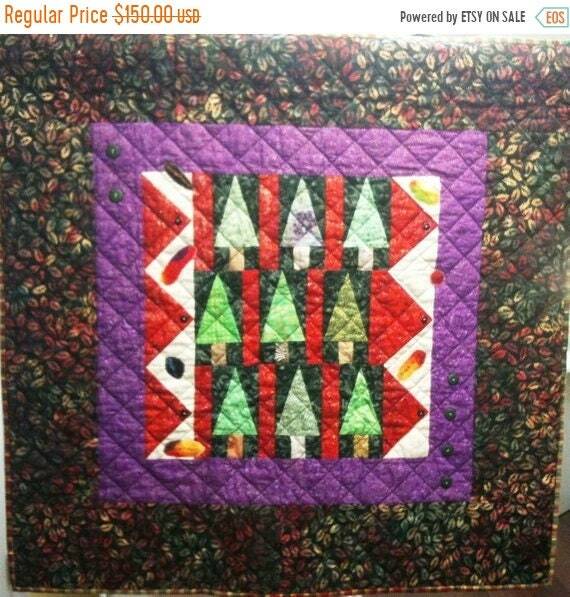 Enchanted Forest is an art quilt that measures 35 x 35 inches. 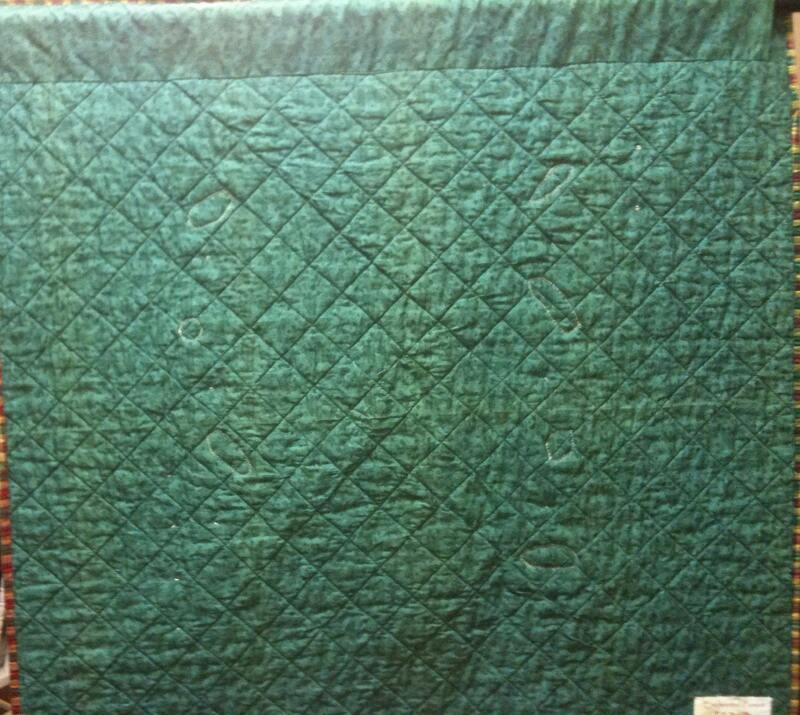 Tree blocks formed the center of the quilt with flying geese blocks bordering the forest. 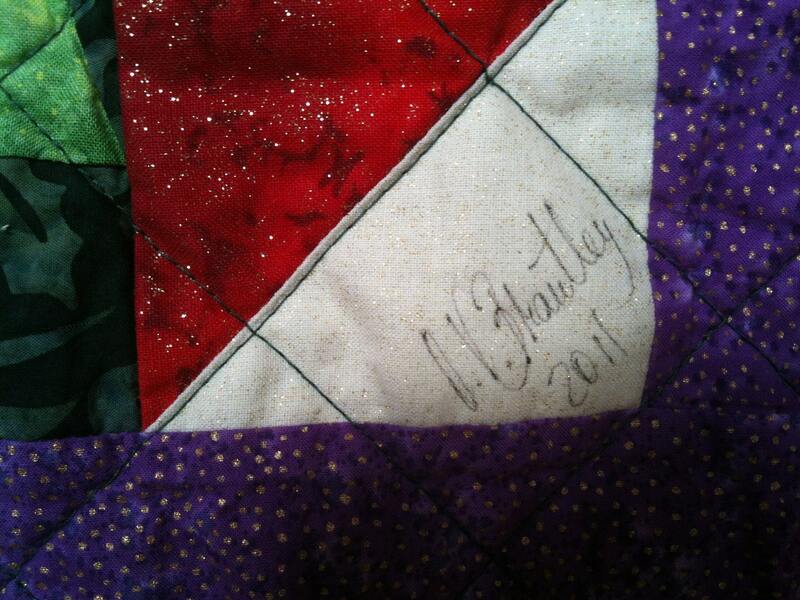 There is a lot more sparkle in this quilt than can be seen in the picture. Both the cream and red fabrics have gold specks and the binding is metallic plaid. 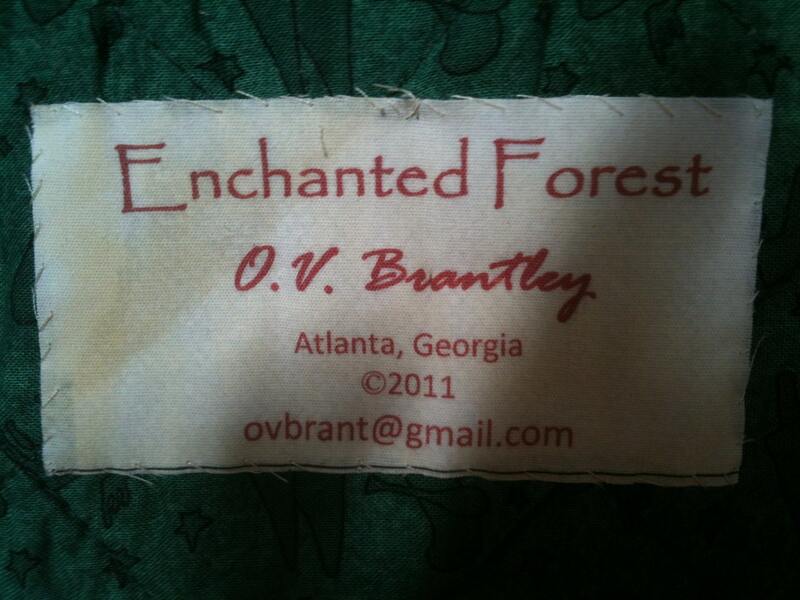 Enchanted Forest is embellished with inspirational words and with buttons. It was pieced by machine and quilted by machine. 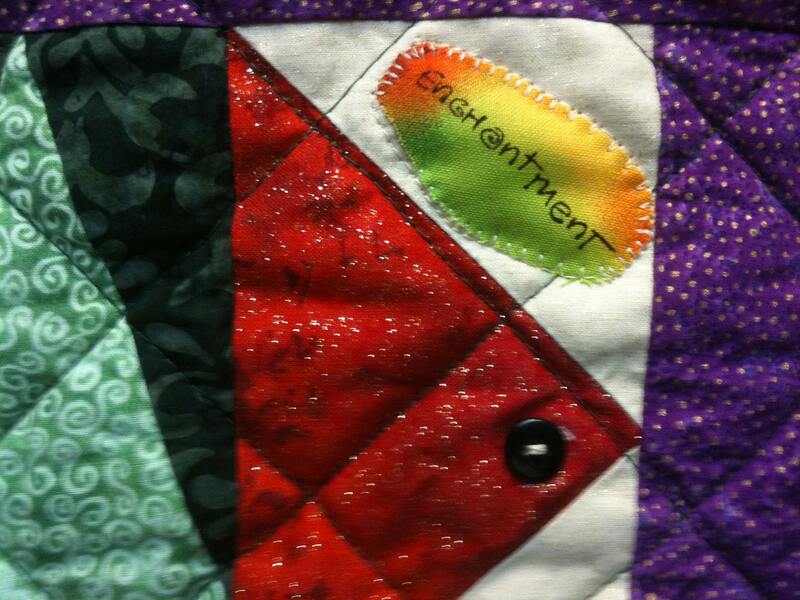 There is a hanging sleeve on the back for easy display, and a label documents the quilt. I signed it on the front.